This mouse is perfectly great. Like the other have said, it is accurate, easy to maneuver (great for gamers), and battery conserving. It automatically switches to conserving mode when you do not use it for some time (like screensaver of the monitor), it blinks instead of continuous emitting light. In case, you want to conserve even more energy, plug the receiver back and it would be turned off. 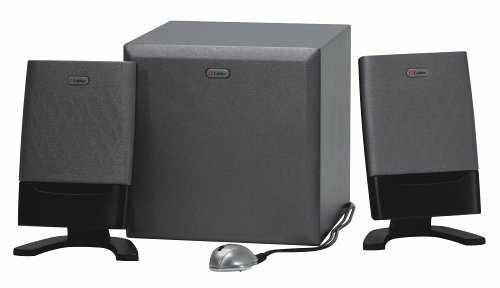 The in-the-mouse receiver is an innovative design. Absolutely great for all those who use laptops. 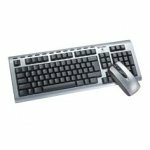 People who use desktop would also love the idea of turning off the mouse while keeping the receiver ready in place in case you need to dash out of the house. I have a desktop and a laptop and all what I have to do is to plug in the receiver. When I finish just turn it off and in the morning I am ready to go again. 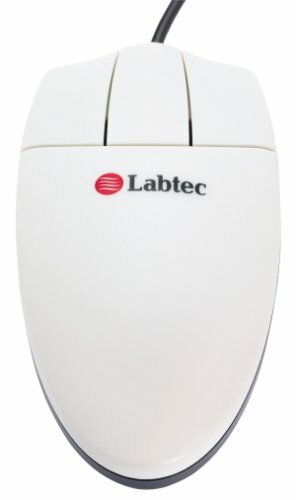 About the battery, it is true that all wireless optical mice consume lots of batteries. However, a charger would solve the problem nicely. Make sure you have 4 AAA batteries so that when you charge 2 you have 2 other to use. This mouse is awsome. The dpi is good....battery life is great and you don't misplace the receiver when traveling; because it GOES INSIDE THE MOUSE. Ben (one of the reviewers). You put the wireless receiver inside the mouse to turn it off. Nice mouse with a compact reciever and a clever design for storing it inside the mouse. But it burns through batteries. Even taking them out at night, only got ~10 days use. And no off switch! I have used several wireless optical mice including MX700, MS, Targus PAWM10U/PAWM20U, and this one. Labtec is certainly outperform others. Especially 800 dpi. 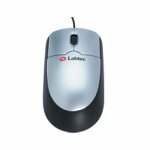 The cursor pointing accuracy is a typical problem in all wireless optical mice. 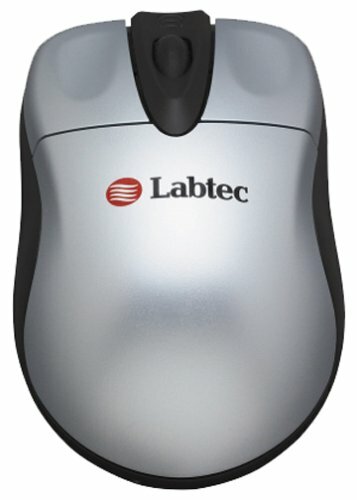 with 800 dpi, MX700 and this Labtec are the best in comparison. 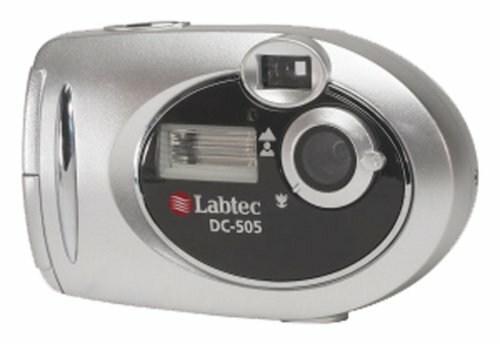 The mini Labtec is more suitable for travelers. I can't believe that the overall rating for this mouse is only 3 out of 5 stars! I've owned one for about 6 months, and I absolutely love it. It has good ergonomics, the battery life is comperable to other wireless optical mice, and it's extremely portable. 5 out of 5 stars. 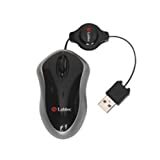 I have a logitech mx700 mouse om my desk at home, but I needed something that I could throw into my laptop bag and bring with me on trips and to my office. The thing that originally attracted me to this mouse is the fact that the usb receiver actually folds into the underside of the mouse. No cords, wires, or parts to keep track of. When the receiver is stored in the mouse it turns the mouse off, conserving battery power. When you remove the receiver it turns the mouse on and it's ready to use. If you are running Windows XP you won't need to install any drivers either. As with most optical mice that I've owned, this one works well on most surfaces, including my desk or my pant leg. It has a geat wheel and great buttons. This camera is very nice. 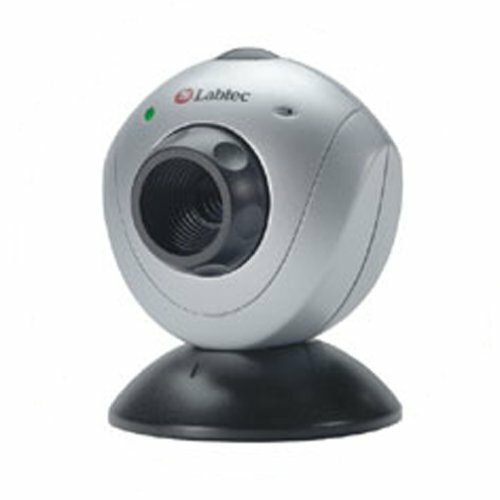 Quality is not the best but keeps you working if you need only to have video chat with your friends or record low quality video. It was easy to install and run on XP almost without effort. The only annoying problem for me is its awkward positioning. In order to set it up in a certain place, you need a lot of effort. The camera is so light while the connecting USB cable is thick, heavy and inflexible, which means most of the time it will take the camera and fall or change direction to the direction of the cable. While still you can position it with some effort, or clamp it somehow you've got to be careful because the cable is so unmerciful. Also the movement in the vertical direction is not very flexible. All in all. Very nice camera, easy to install, low cost, and average quality, if you can take the effort of positioning it. If you don't make a lot of movement, you can set it up once, and leave it there. For the price, this camera is great! Image quality is nothing to brag about, but the price is! Plus, the camera has a versitle base and is very tiny, fitting almost anywhere. Bought 2 for home networking video conferencing, and very pleased. Yo I took the order was to come on the 20th and it arrived a day earlier. The camera is good quality and well you would nees to put it ona shelf as it is low. Instead of buying and installing this webcam, I would've had a poor-quality pizza followed by a few drinks in a pub I don't like and a ride home in a dodgy taxi. It took me a couple of hours to get it all working, and I feel a bit more confident about what webcams are about. 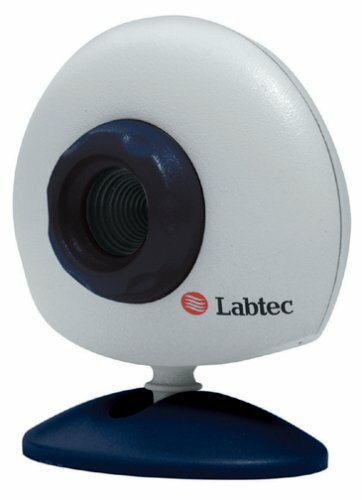 This is my first webcam, and I only bought it because it was the cheapest. I've had these for about a year now with no problems. I use them with my ibook and ipod. The sound is very good. There is a volume adjustment on the speakers. They are lightweight and easy to use.